You know when you add a new word to your vocabulary and then suddenly start seeing it everywhere? That's basically my experience with Sun Potion, a high-end brand that specialises in carefully crafted, beautifying herbal-powder blends. I first spotted those blue glass bottles on the shelves of New York's CAP Beauty several months ago. Mere days later, I noticed the same collection in Brooklyn's eclectic general store Grand Street Bakery. Then they began appearing on my Instagram feed, and later on the virtual shelves of Urban Outfitters, whose beauty buyers have an incredibly keen eye for niche brands and products on the cusp of marketwide explosion. It wasn't until during a brunch with CAP's founders, Kerrilyn Palmer and Cindy DiPrima, that I knew it was time to take a closer look. Both have the kind of covetable ageless glow that makes you want to know every last detail about their beauty regimen, and when they raved about the effects they have seen with Sun Potion's formulas, inside and out, that was all the confirmation I needed to finally investigate—and proof that this brand is going places fast. 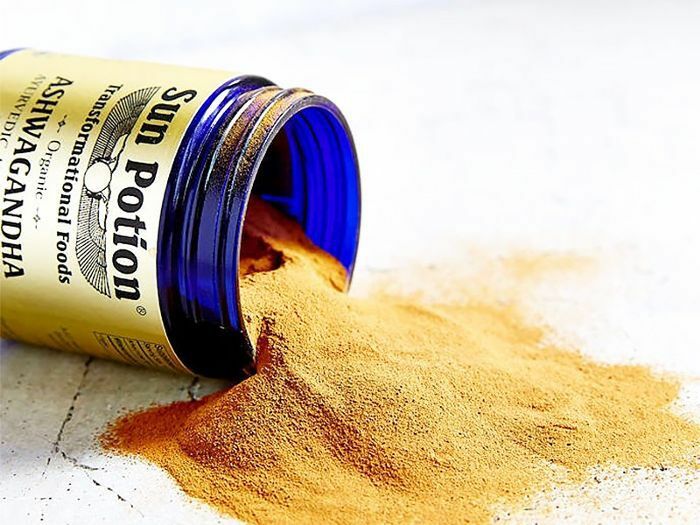 Founded by real-life couple Scott Linde and Nitsa Citrine, Sun Potion uses traditional ayurvedic and Chinese herbalism to dictate its formulas. So while the brand—not to mention the overall trend of Eastern-inspired beauty and wellness—might be gaining increasing popularity, it functions on an M.O. that is centuries old: that for optimal health and balance, nature is our most powerful and readily available medicinal resource. "Most of what we are talking about has been around for millennia," says Linde, who adds that the growing interest in these ancient remedies is less than coincidental—this fast-paced, technology-driven world we live in doesn't exactly foster the most grounded, healthy lifestyle, after all. "The properties of all of these plants, as well as tea and meditation and other aspects of Eastern wellness, all act to bring the body into more alignment and balance," he says. "These foods help the body to be more adaptable and able to navigate life's stressors." That all being said, there are, of course, plenty of other supplements, herbs, and buzzy beauty tonics available on the market. Ingestible beauty has never had such a moment. But why is Sun Potion garnerning such high notice? Linde says it's simple: The formulas work—really work. "It works, and people are catching on," DiPrima and Palmer told me via email later. "People love it because the difference they feel and see in themselves after taking the herbs is tangible. And quite remarkable." 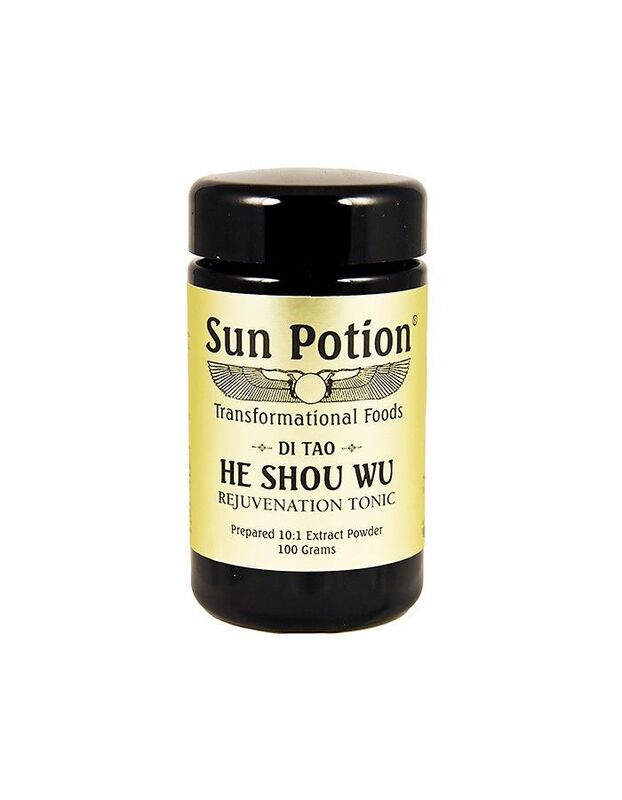 In addition to extremely high standards of quality and efficacy (which is all too often not the case in this market), Sun Potion also strikes a refreshing balance between authenticity and modern relatability. The smartly labelled powders all include the traditional names of the herbs but succinctly spell out exactly how they will benefit you, offering suggestions on how to ingest them. For example, the herb mucuna pruriens is nicknamed the "dopamine bean," and we're informed that it can boost brain function, elevate our moods and energy, and soothe our nervous systems. Sounds like the perfect weapon for the 4 p.m. slump, no? Which brings me to my very memorable first experience with Sun Potion, during which I put this very notion to the test. With my pick of herbs sitting on my desk on a particularly stressful day, the words "dopamine bean" were too intriguing to pass up. Also eyeing a cacao powder herbal mix called anandamide, I decided I would mix up a hot cocoa-like drink, superfood style, with a spoonful of the mucuna pruriens stirred in. An hour later, I realised that not only had my energy taken a major lift, but my focus was razor-sharp—and I was suddenly powering through my workload at a much more efficient pace than I had been before. I found myself echoing Palma and DiPrima: Remarkable. The CAP Beauty founders have made a career out of finding the best of the best in natural beauty, and they stand behind Sun Potion so much that the companies are actually announcing a 2016 co-branded product called the Beauty Elixir: Based on Palmer and DiPrima's favourite concoction, Sun Potion's He Shou Wu ($55) and Tocos mixed with coconut butter and almond milk, it will be sold at CAP in teacups. But we have a feeling that the collab will be just one aspect of a big year for Sun Potion, because well-deserved buzz is the kind that has real staying power. My cabinet shelves have been cluttered with countless herbs and tonics for years, and most of them are really good—some of them are even great. 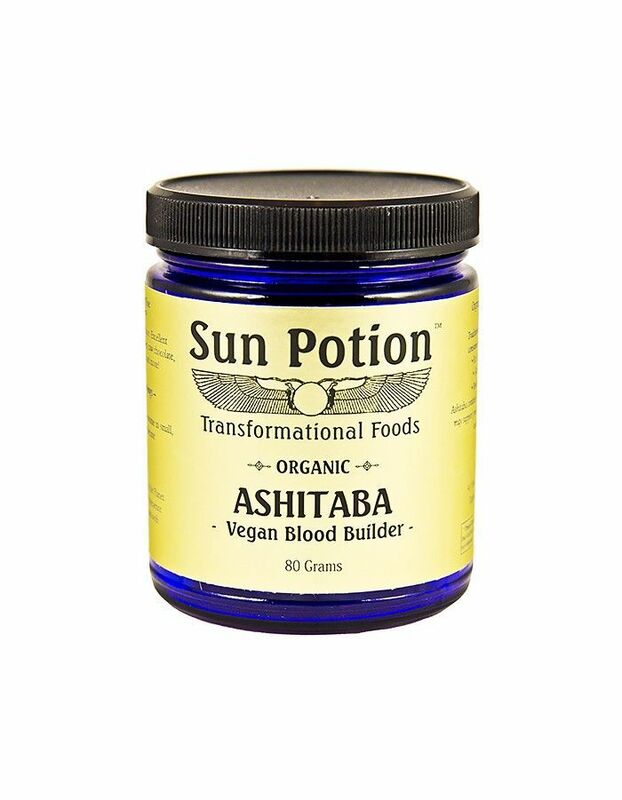 But after just a couple of weeks on Sun Potion's powders, I can't help but feel that this is what supplements are supposed to be: foolproof formulas that seriously deliver. Click through the gallery below to get the specifics about some of our favourite Sun Potion formulas. Brew up an ultra-healing mug of chocolate-y goodness with this cacao powder blend—it's fortified with a variety of mood-boosting Sun Potion supplements and spices for the perfect pick-me-up. Our go-to preparation method is to stir a heaping spoonful into steaming-hot almond milk with stevia. Our favorite of Sun Potion's lineup, this "dopamine bean" is now an office essential, since it provides a major, nearly instantaneous boost of energy and focus when the afternoon lag strikes. It's seriously remarkable. DiPrima and Palmer name this particular supplement their ultimate must-have, and for good reason—He Shou Wu has been used for centuries for full-body detoxification and rejuvenation. For beautifying from the inside out, this is your herbal powerhouse. Definitely keep it on hand this winter to ensure that your immune system is humming along smoothly. It's extremely to rare to find a vegan source of the essential vitamin B12, which is what makes this Japanese herb so special—it's chock-full of it. Use it for a boost of energy and to promote health and longevity. Looking to get in the mood? 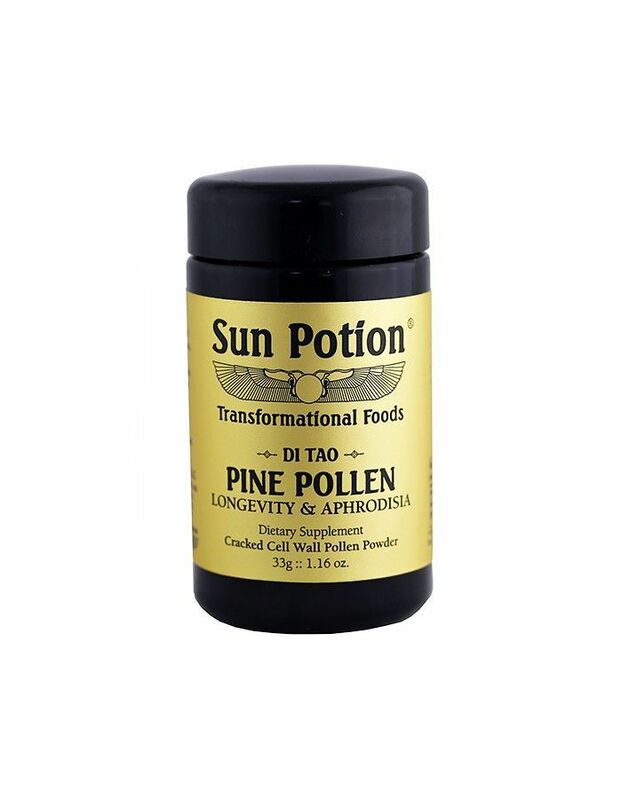 As one of nature's most powerful aphrodisiacs, Pine Pollen will definitely give you a push in the right direction. Beyond that, this supplement offers general hormone support and boosts metabolism. We like to sip this digestion tonic before bedtime when our system is feeling particularly sluggish, since it helps speed things along, banishing bloat in the process. Formulated from three exotic fruits, triphala is also a powerful antioxidant and is believed in the ayurvedic tradition to provide balance for the entire body. While it has a bitter, almost burnt taste to it at first, the belief is that with regular consumption, it evolves into something far more palatable, ultimately signifying that the body has achieved this balance. 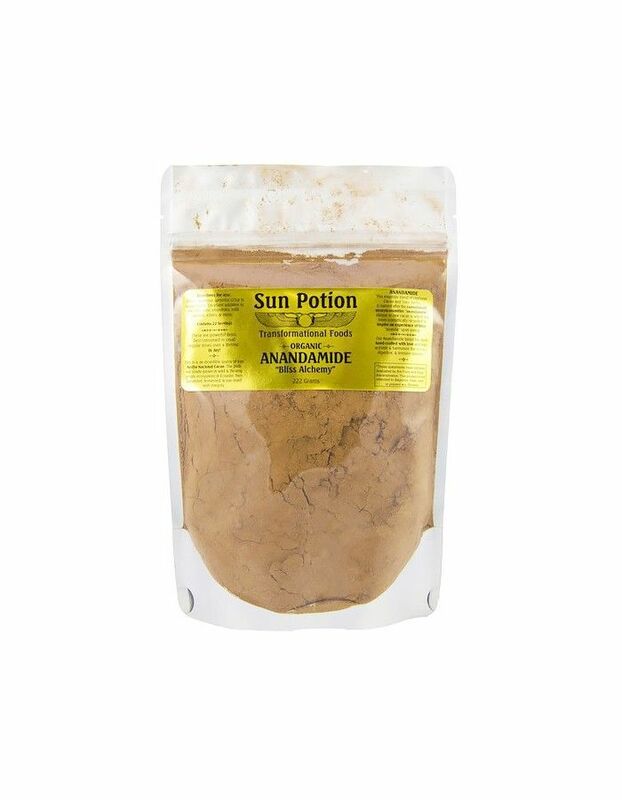 Have you tried any of Sun Potion's supplements before? What are you most interested in checking out? Sound off below!